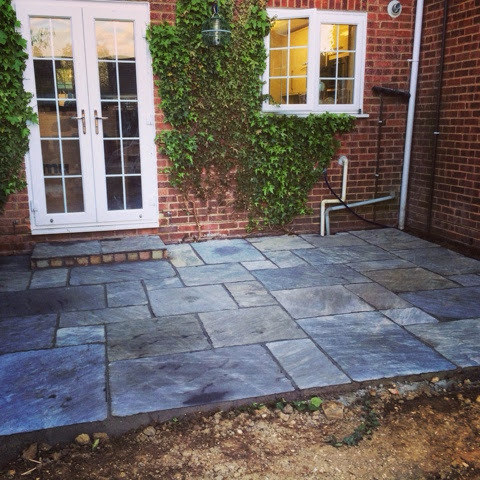 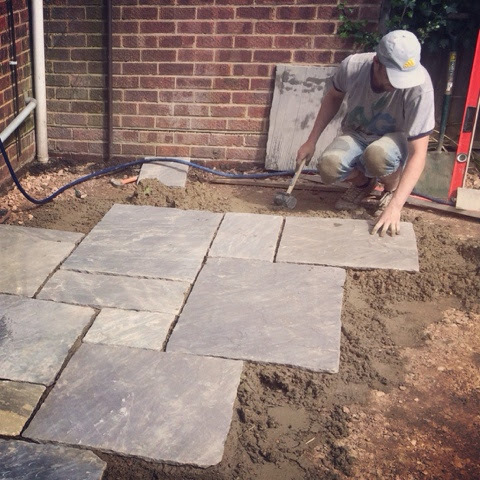 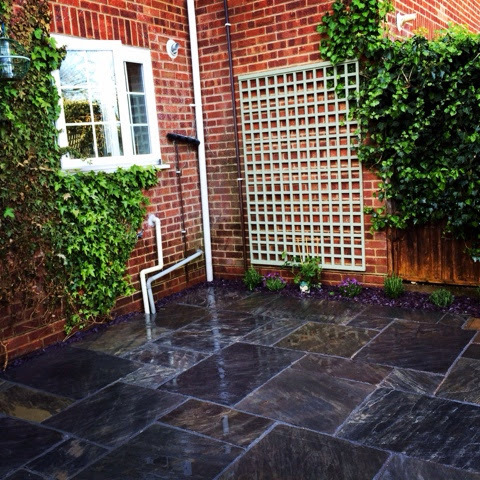 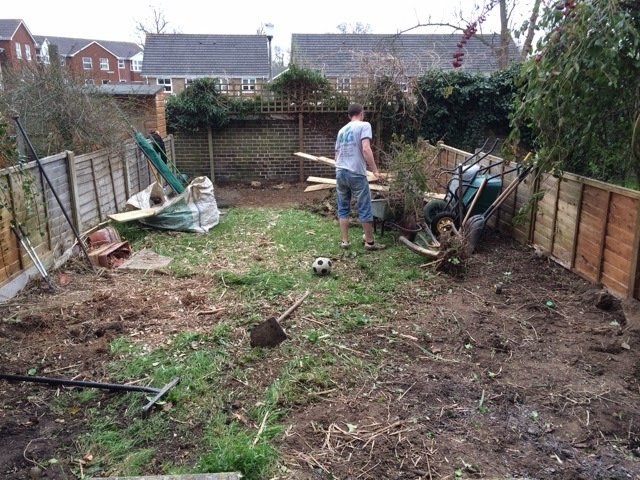 Garden makeover and whole garden landscaping in Horsham. 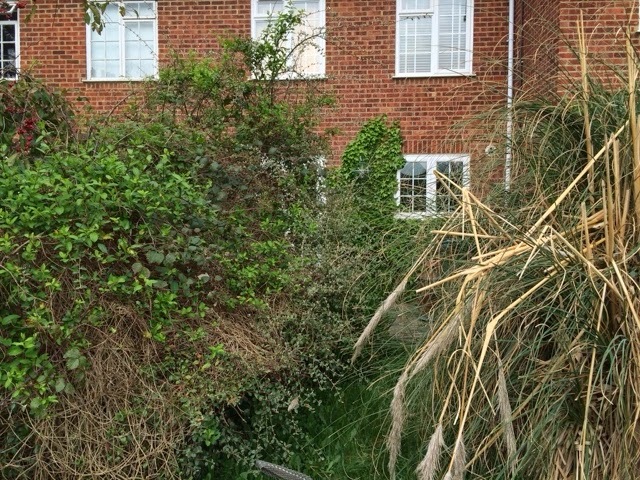 I sit writing this from our car, parked outside our house, while the rain pours down outside- three sleeping children in the back after a morning at church and rather than wake them thought I'd let them enjoy their sleep!! 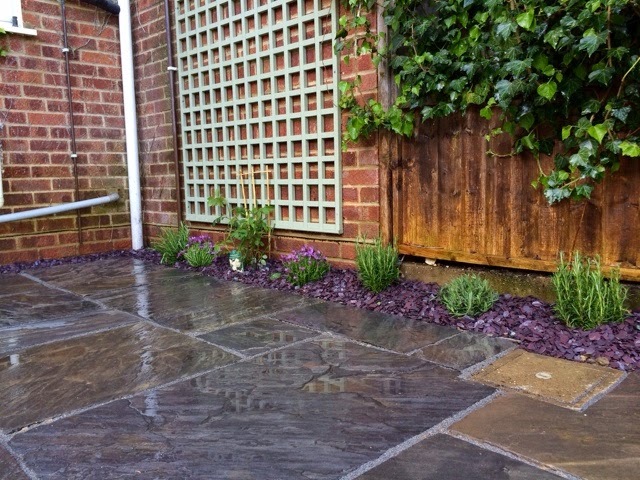 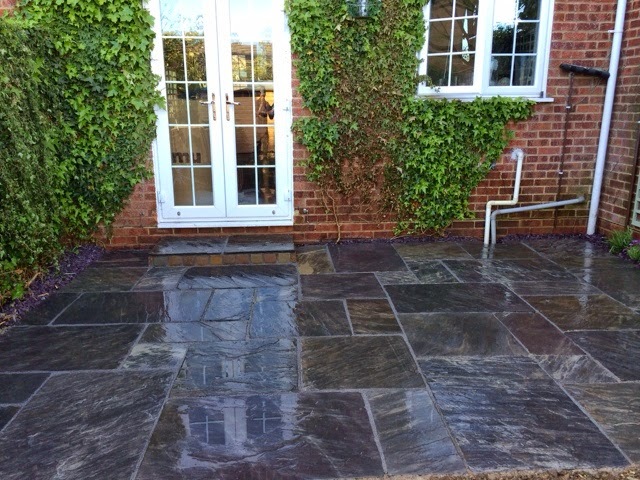 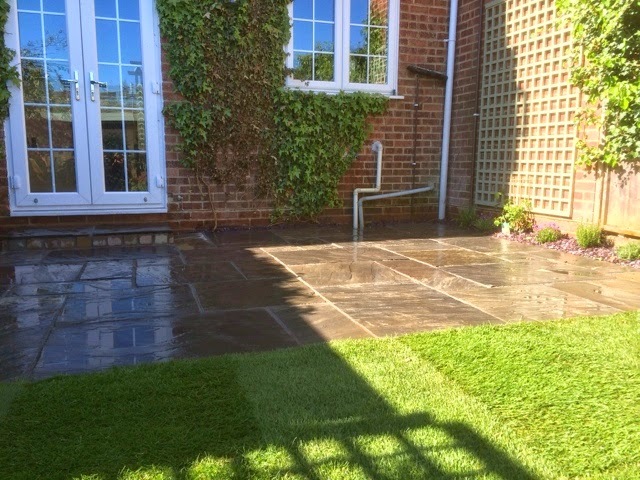 We have just finished a fab garden makeover in Horsham. 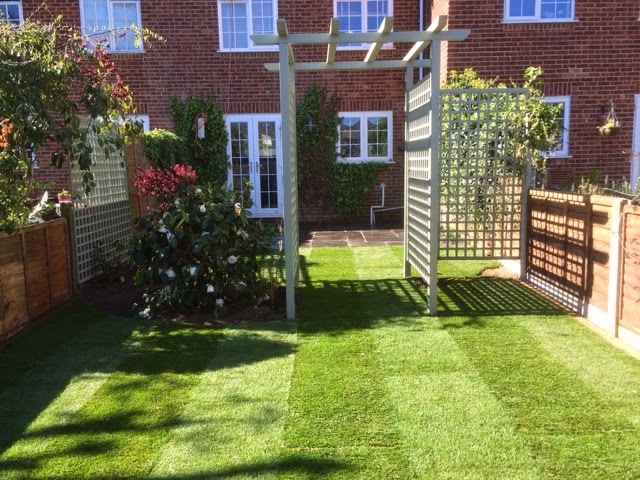 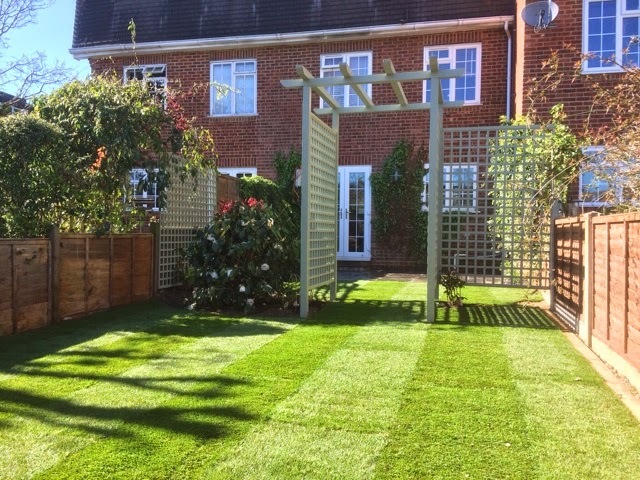 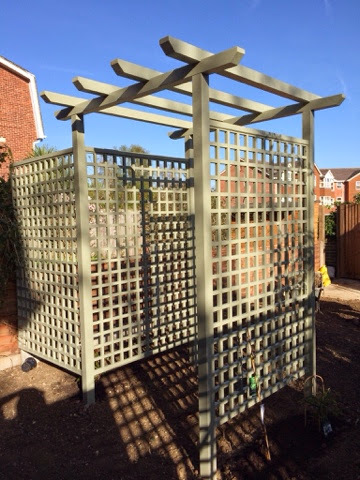 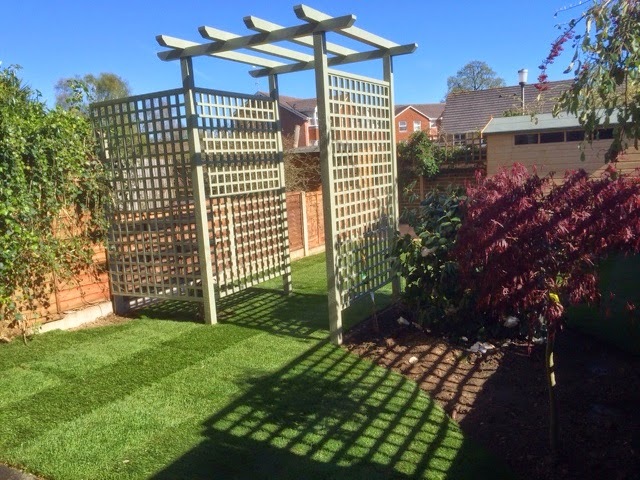 The photos will speak for themself but a quick overview of the brief was to create a garden that would have a new patio that would be surrounded by trellis, planting and pergola giving some privacy while the client sat outside. 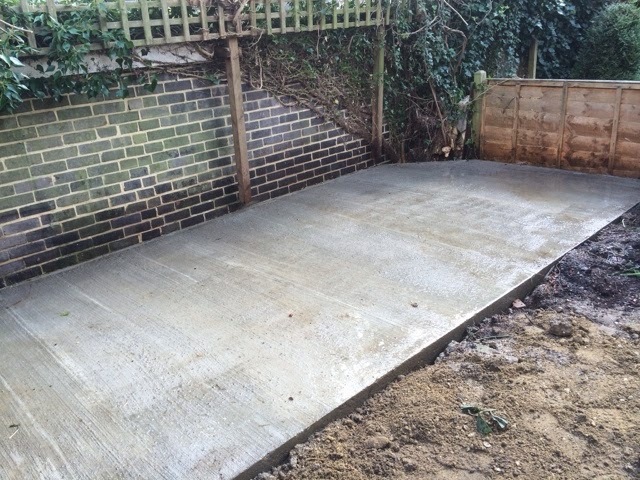 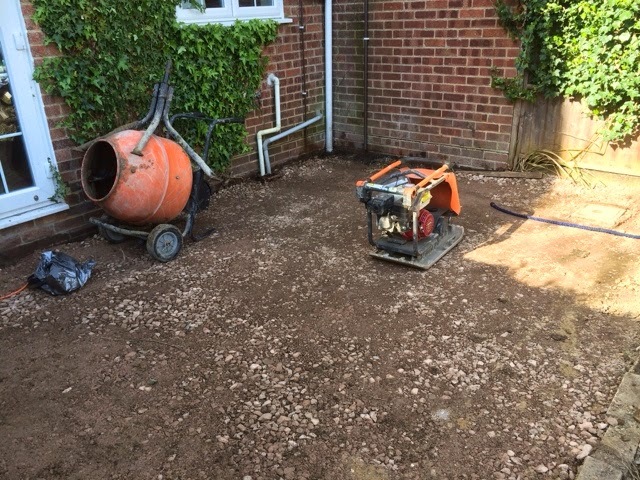 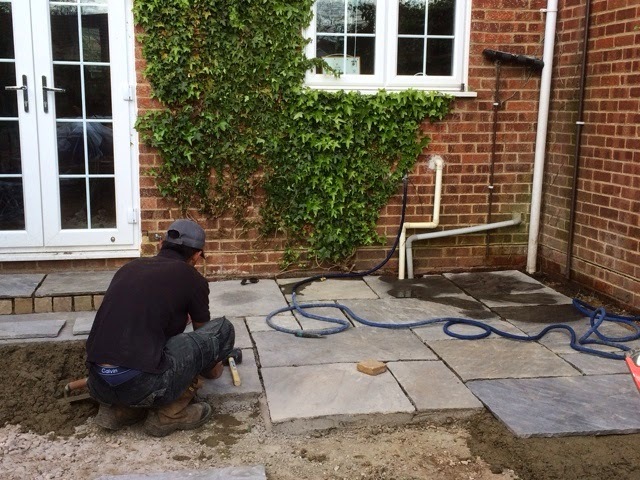 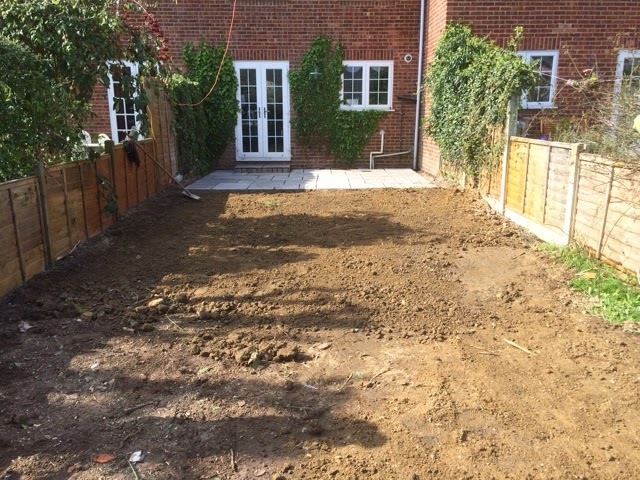 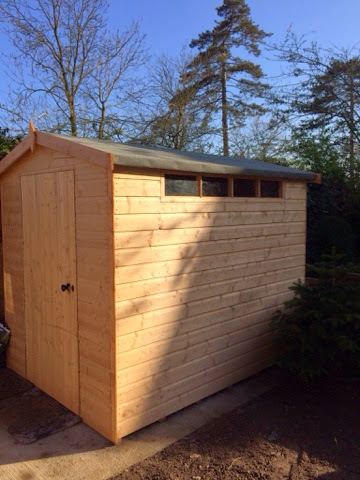 The end of the garden needed a large concrete pad for a new shed and bin area and to enable the family to bring their bikes in from a new side gate straight into shed. 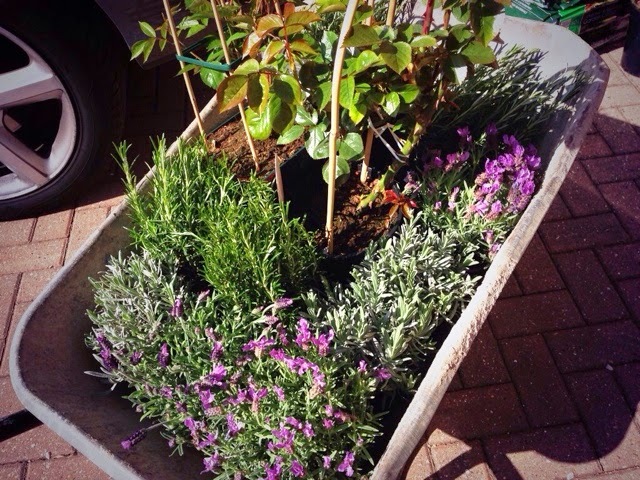 Plants included a Japanese maple, Camelia 'white nun' , lavender, rosemary, a vine and fragrant climbing roses. 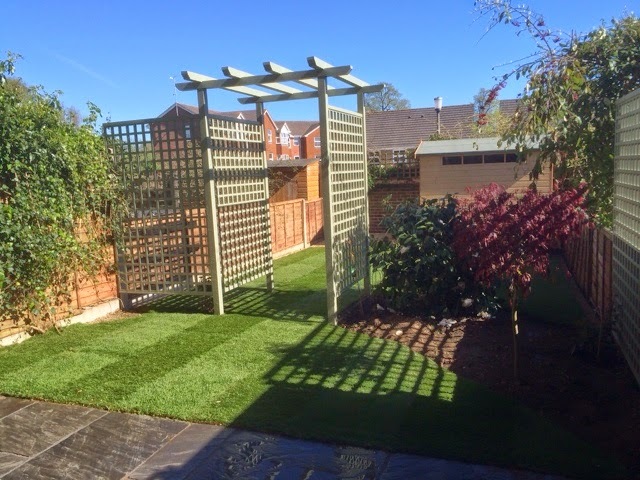 Turfing and new fences completed the look. 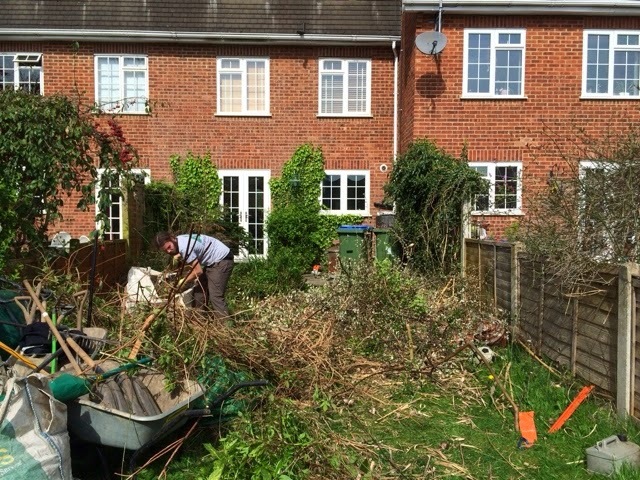 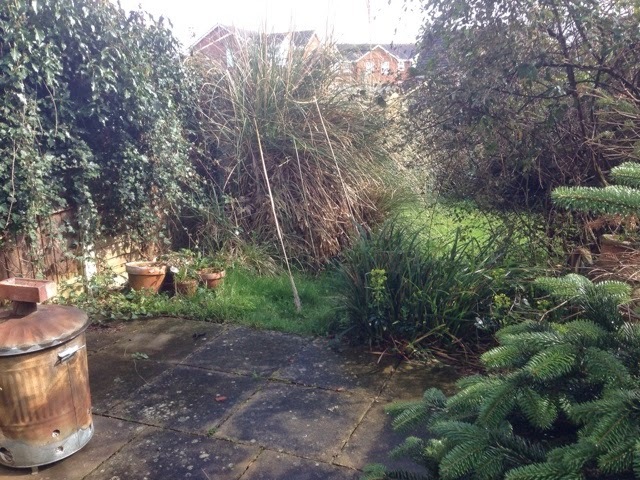 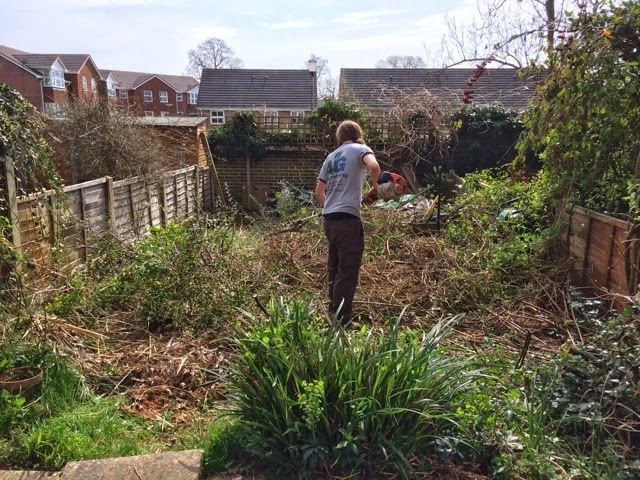 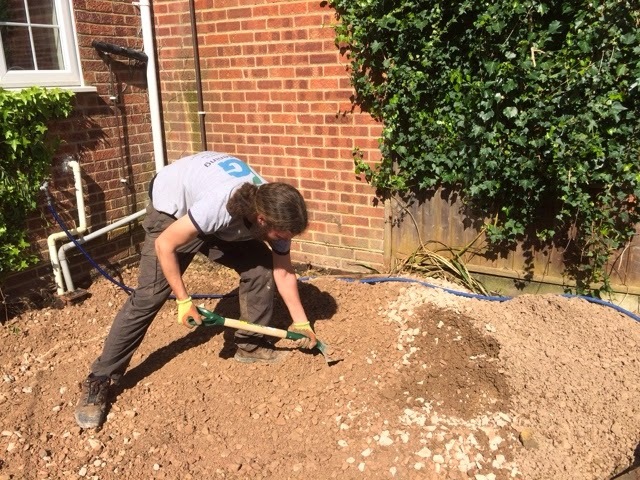 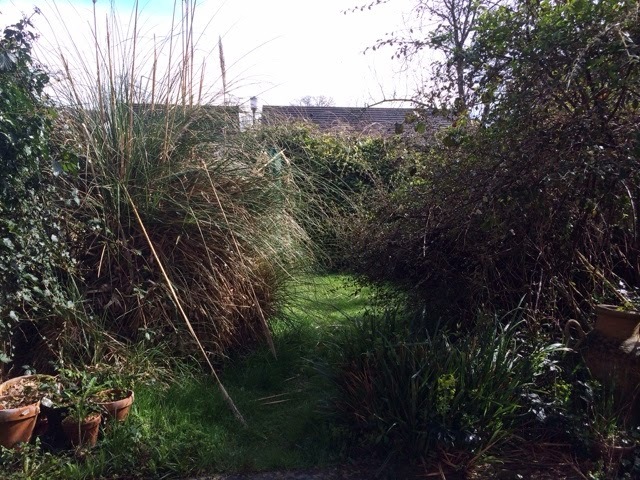 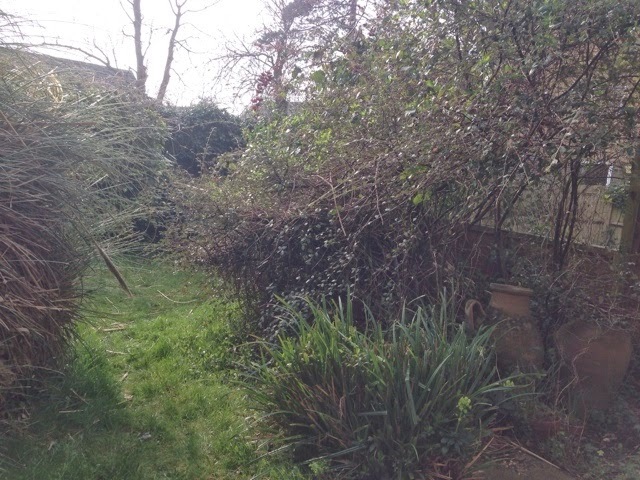 Here are some photos from the beginning of the project with the garden clearance through to the final landscaped garden.